Here’s a super cute idea. 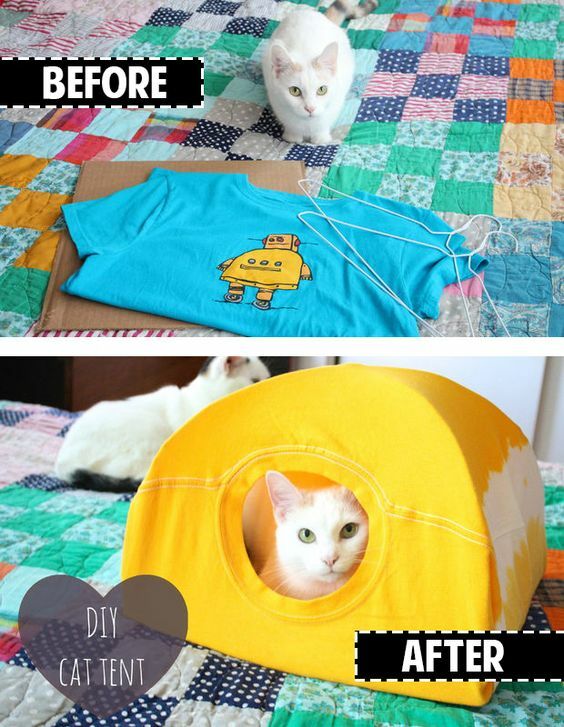 Upcycle a t-shirt into this cute and comfy Cat Tent. This is an easy diy and you’ll love the results and your furbaby will think its simply purrrfect! 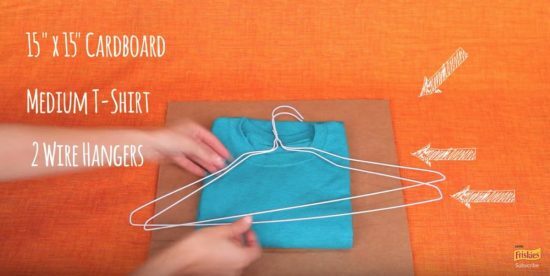 Here’s a fabulous DIY that you can make using a T-Shirt and Coathangers. Your furbaby will love this cute and cozy cat tent. It’s so easy and inexpensive to make and you use a cardboard box as a base. They will be snug as a bug and it makes a cute gift for your feline loving friends too. Today we are sharing a quick video tutorial from Friskies. We have listed what you need for the project below. You will also be able to print out the instructions. View here. Here’s another awesome idea. Use some cardboard boxes to create a fantastic Cat Castle. There is no tutorial for this project and the site has since been removed but we’re sure you can get creative and use the photos above as inspiration.